Wanting to visit Thailand then there are many options. There are several cities in Thailand where you could retire or visit on holiday based on your personal preferences. If you are looking for a vibrant and cosmopolitan city then Bangkok or Pattaya should be your choice. If you are looking for a place which is closer to nature and costs less then there are smaller cities of Hua Hin, Samui, Chiang Mai and Phuket. Whatever location you decide to retire and whatever your reasons are you will not be disappointed once you retire in Thailand. The Thais are a warm people and their hospitality makes it easier for foreigners to settle in here. The real estate is also affordable and there are many ways in which you can buy or lease houses, villas, condos and townhouses. The country’s exposure to the west has sprung up many restaurants and shops which cater to Americans and Europeans. And the country has got a good mix of cosmopolitan cities like Bangkok and Pattaya and then there are lovely islands surrounded by beautiful scenery where you could buy a house in front of the beach and live luxuriously. The Thai Tourist visa is there for you to use to visit Thailand for a period of 60 days. The visa issued at the Thai embassy is normally issued overnight depending on the embassy you have applied at. Once you enter Thailand you have 60 days to stay in Thailand. 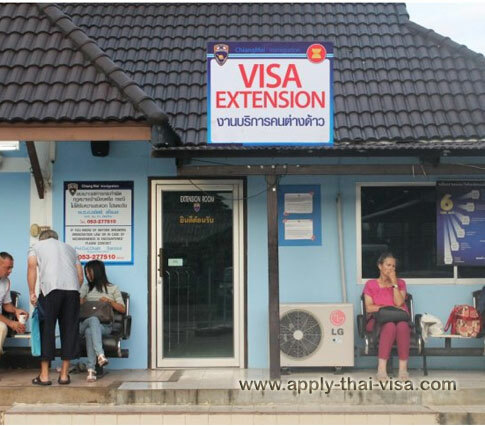 Before the visa expires you can extend your visa again at Thai immigration for another 30 days for a fee of 1,900THB. Depending on your nationality you might also be able to apply again for another 1,900THB but this time you will only get between 7 and 10 days. Speak to Thai immigration about your tourist visa today!